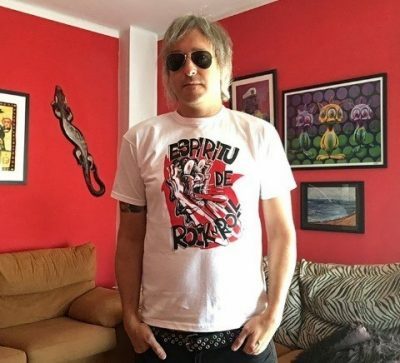 Born in Vigo in 1972, from early childhood Argüelles was irresistibly drawn to cartoons and comics, and he soon developed an interest in underground culture, rock ‘n’ roll and cinema, especially sci-fi films. Trained as a graphic designer, he began his career illustrating and designing fanzines and later worked for different publishers. 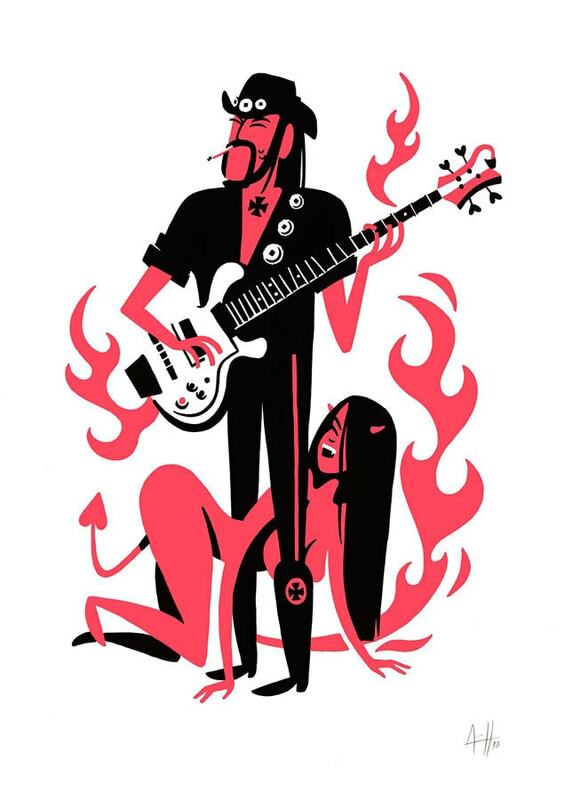 Eventually he set up shop as a freelance illustrator and even did some work for the American television channel Fox 5, although he primarily caters for clients on the underground music scene, including concert organisers and record label owners like Bloody Mary, festivals (Purple Weekend) and bands (The Rubinoos). His illustrations, always closely related to the world of music and usually in the form of posters or album covers, are bold, expressive, colourful and fun-packed. Inspired by classic cartoons, Argüelles’s style alternates between Pop art, Surrealism and trash culture.